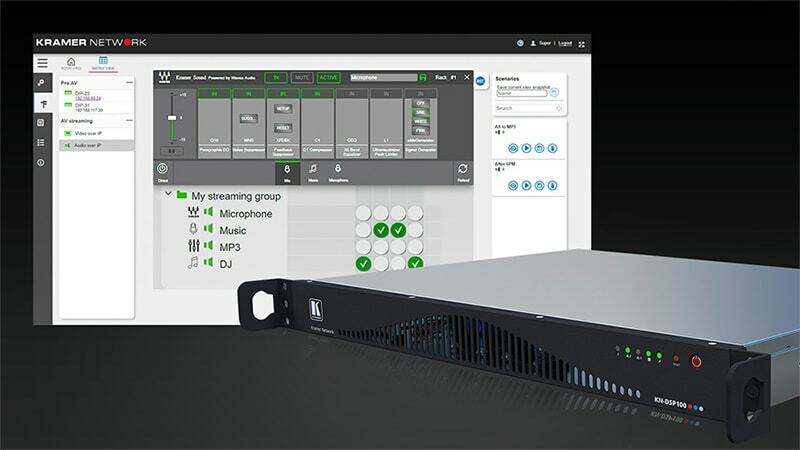 The KN-DSP100 offers AV professionals seamless DSP-over-IP, processing up to 64 channels over a Dante™ network. Waves' integrated MultiRack plugin host and award-winning audio plugins make it a powerful sound improvement tool for audio installations. 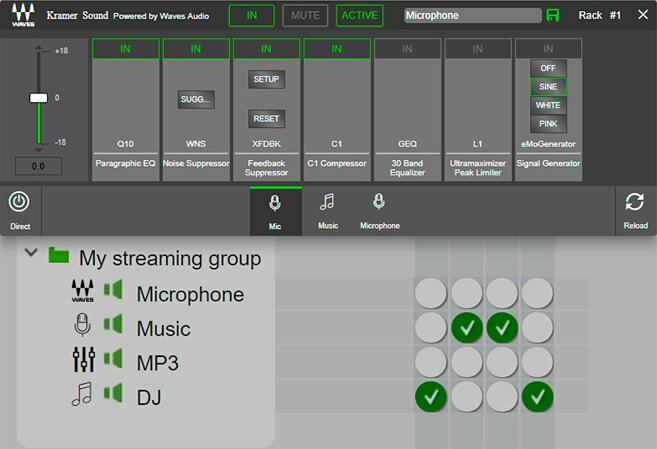 Use the same tools that world-renowned live sound engineers rely upon daily, to dramatically improve the sound of large-scale system deployments such as airports, hotels, courtrooms, hospitals, etc. The integrated plugins cover a vast array of processing needs: EQs, compressors, limiters, automatic feedback and noise suppression, and more. The 1U rack-mountable unit is configured to allow fast and easy integration with all standard IT infrastructures. All operations are controlled via the Kramer Network interface which provides auto-detection of all Kramer devices and their functionality. 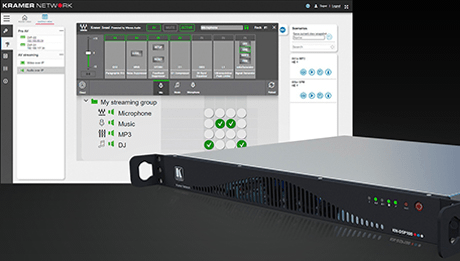 With over 1000 I/O channels and Waves-powered processing of up to 64 channels, the KN-DSP100 is a force to be reckoned with.